MIG & Co. has teamed with several financing providers to offer customers a total IT solution, including software and services. 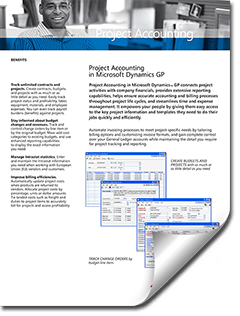 Financing is available for new Microsoft Dynamics installations as well as upgrades to existing Dynamics solutions. * This program does not involve software to services ratio requirements. Interest rates are determined by the term and size of the contract. At any time during your contract, you can add software, services, or other product offerings. Additional credit approval may be required. Generally speaking, no collateral is required as this is an unsecured financing. It is considered a capital lease with a $1 buy-out. With the exception of subscription-based pricing models, the ownership of the Microsoft Dynamics software transfers to the customer at the end of the term lease agreement at no additional charge. For transactions less than $50,000 only signed customer applications are required. For transactions of $50,000 or more, additional financial disclosure maybe required. Learn more about the flexible payment options available to help you finance your Microsoft Dynamics solution. MIG agreements are lease/rentals. These can be managed on the company’s Profit and Loss report without adversely affecting the Balance Sheet. MIG agreements are lease/rentals and are 100% tax deductible. Can lease equipment and still take full advantage of the Section 179 deduction. Financed equipment is treated as a purchase and must be depreciated over 5 years.